Scientists continue to be baffled by the sudden mass appearance of wooden crates throughout cities and landscapes across the world. Although precise numbers have not yet been ascertained, estimates range from one to three billion. The crates appeared overnight, yet there are no reported witness to the precise moment of their arrival. With world governments refusing to comment until further details are known, speculation has linked the mysterious phenomenon to the explosion yesterday at an ACME Box 'n' Barrel factory in Borginia. The detonation was caused by an employee accidentally throwing a paper aeroplane against one of the explosive barrels inconveniently lined up around the circumference of the factory. The chain explosion is believed to have launched the factory's entire stockpile of crates up into the stratosphere, whereupon they rained back down to Earth at some point between midnight and three a.m. (GMT) the following night. Further confusion arose when Edward Van Helgen, a citizen of Plunder Island, opened one of the crates and discovered a new string for his banjo that he had been saving money for. "Why, it was a strange thing indeed!" Mr. Van Helgen explained, "I was walking through town, wondering where I was going to steal enough money from to complete the last of my banjo repairs after it was shot to bits by a no-good scallywag, when I came across this box. I'd seen a few of them across the island and wondered what was inside, only to find it was the very thing I'd been hoping for! Now I won't need to take out that loan from Plunder Finance and restructure my debts into one manageable monthly payment, despite the excellent rates on offer!" Mr. Van Helgen, who has been working an undisclosed job in the financial sector to supplement his income as a barber and former pirate, declined to comment further on the phenomenon and abandoned the interview when this reporter discovered his wallet had disappeared. After a mountain climber found a winning Euromillions ticket in a crate on a cliff-edge, there has been an increase in risk-takers seeking out the most difficult to access crates in the belief that they contain more valuable material. Unfortunately, the prize does not always meet expectations: a man, who used two floating crates to cross three miles of ocean and reach a box on an isolated rock, was dismayed to find all it contained was Concept Art of his younger self. Philosophers have claimed that if these crates are the product of an omnipotent creator, their uniform appearance and convenient contents show 'laziness in His grand design' and risk 'undermining the challenge' of life, pandering to those who lead 'more casual' lives. The discovery that the crates' content often matches what the opener requires at that moment has led to the rise of a religious sect. The Cratetionists, as they have called themselves, believe that the crate phenomenon was a sign sent by a divine Crate-or as a temporary fix for all the incovenient bugs he left behind (mosquito spray and electric flytraps have been prominent amongst the haul extracted from the crates). 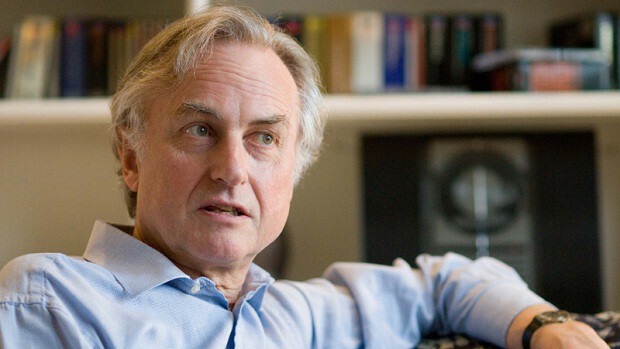 Professor Richard Dawkins has called this new religion 'ridiculous', but refused to reveal what he found when an open crate was found outside his house. A Cratetionist insider has posited that it clearly wasn't "a life". Churches, unstable structures built by piling crates on top of one another to form a rudimentary cathedral, have sprung up across the world and been the focus of several hit videos on internet site YouTube. Online competitions to see who can create the most elaborate constructions are growing in popularity, with current front-runners being users Xzyliac, who erected a five-hundred foot tall cast of British singer Elly Jackson's face (including a two-hundred and fifty foot quiff), OhioCalvin, creator of modern art installation 'Crate descending a staircase', and JuZt4L0lz, who arranged over fifteen thousand crates into the shape of a urinating phallus that is believed to be visible from space. In a statement made shortly after Mr. JuZt4L0lz's creation was completed, world governments announced that impending contact with at least three alien civilisations monitoring the Earth had been cancelled for undisclosed reasons. A representative of the Carrington Institute, an organisation dedicated to cosmological observation, expressed dismay that people couldn't put the crates to more mature uses, such as the blocking of sliding doors. The attempt proved unsuccessful when the employee was apprehended and given a severe reprimand by his Big Boss. The crates have also proven a nuisance for military installations across the globe, with base guards being given explicit instructions not to interact with them in any way after several datapads containing door access codes and computer passwords were left lying on top of them. "They're just so convenient," said a soldier, "The crates just sit there, looking so bare with nothing on top of them. Besides, it's human nature to want to leave vital information lying around for anyone to find. I'm more concerned at the number of crates that are being dropped on my fellow guards' heads from a great height." The arrival of crates near military bases has led to a 528% increase in infiltration attempts, which have included crates being thrown through windows, used to ascend watchtowers or as a landing pad for jumps off high buildings. Over three quarters of these attempts have been attributed to various strange men, notable for their fashion of wearing sunglasses at night. When asked about these statistics, one such man simply expressed: "What a shame."